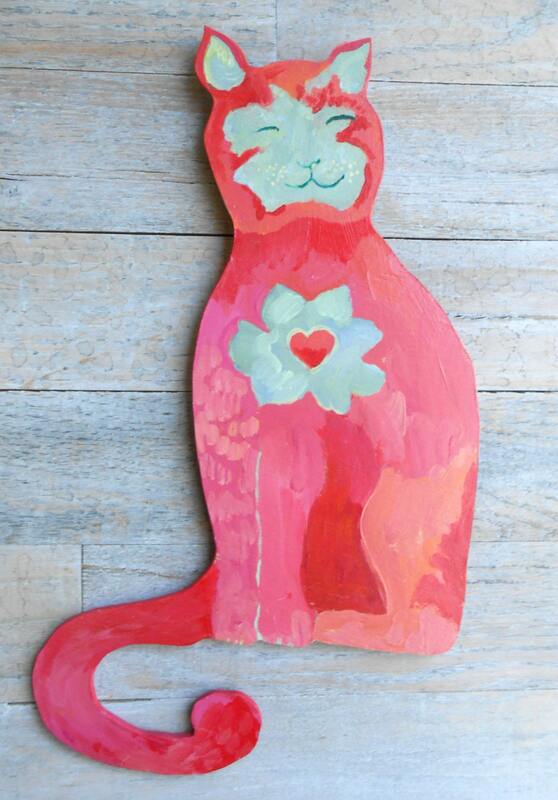 Happy cat wood wall sculpture by Kimberly Hodges. 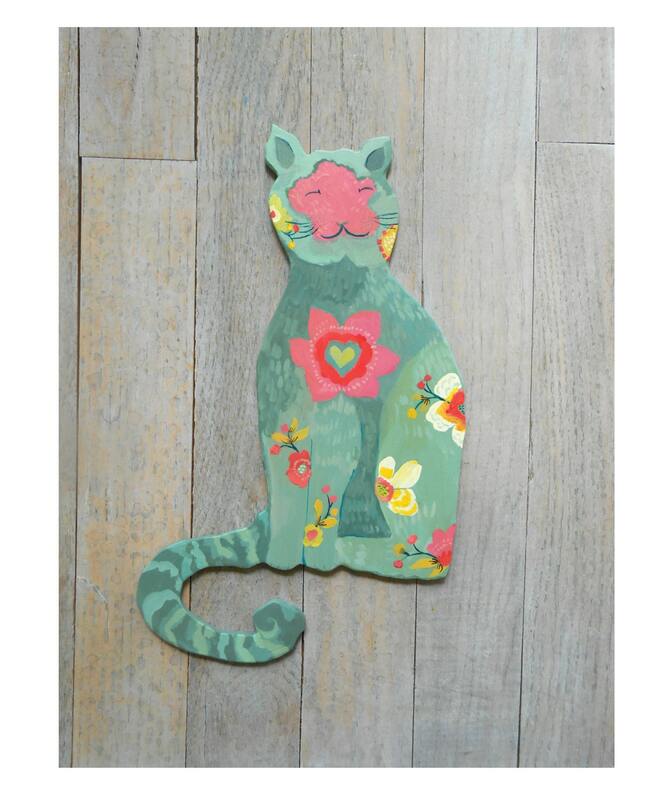 This a scroll cut wood piece that is lightly carved on the surface then handpainted directly on wood-it is not a print! Measures 16" x 9". Guaranteed to extend her happy cat happiness to any owner and cheer everyone up. She is now available in a yellow, sage, and pink color options. 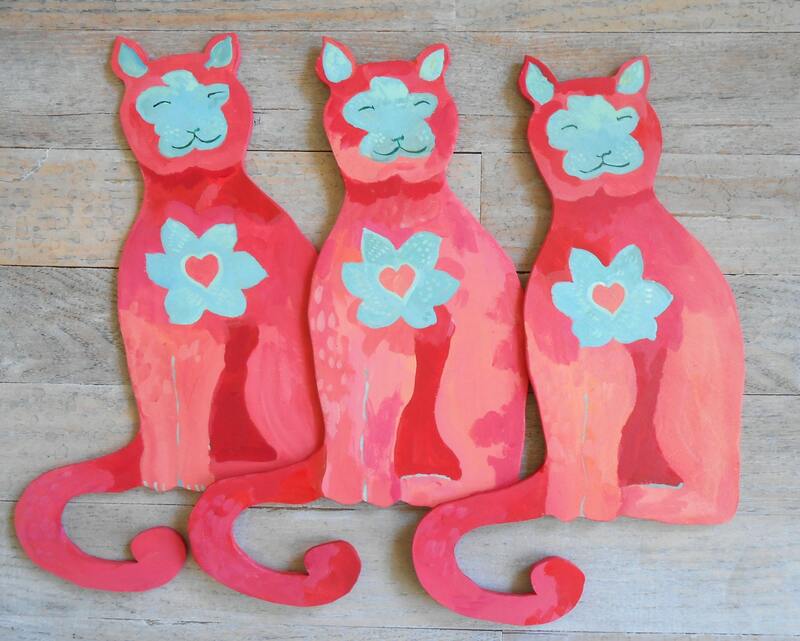 If you see other patterns on my Etsy site, such as the painted whales, that you would like to see adapted to happy cat just send me a convo, I'm happy to hear from you. Shipped USPS generally within two weeks of your order. Thanks for looking! These wall sculptures caught my eye with the great colors/shapes. 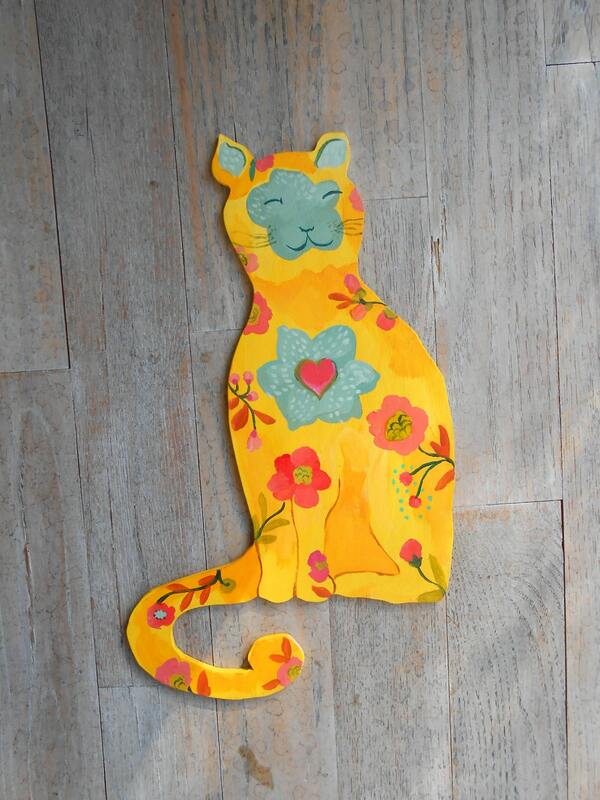 When I received the cat design I was even more impressed with the work. Beautifully done. No problems with shipping or communication from this seller. Kim's artwork is just magical. 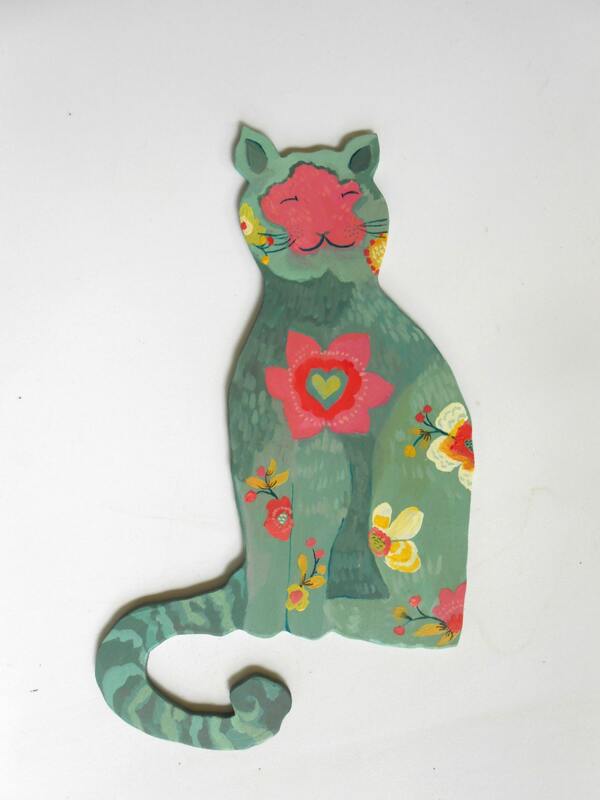 The cat we received is delightful and hangs now in our daughter's room bringing cheer. She loves it!